Step Outside and Smell That Ocean Breeze. Come Enjoy Beach Life Only Locals Enjoy!!! Imagine waking up with cup of coffee as you watch the sunrise over the beautiful waters or imagine yourself surfing the waves with this breathtaking panoramic sight. There is always a comfy place to relax and the music of the hypnotic ocean waves to be enjoyed. Lounge out on the Couch and Read that Book You Just Haven't Had Time to Read or Take a Seat at the Desk and Fill Out Those Postcards to Family and Friends. Heart Stopping, Inviting breakfast bar. Entertain your family while they enjoy the sound of the beach and view. With the Smell of Home Cooking. Modern Style with the touch of the beach. The Cabinets add a Contemporary feel with the Touch of the Beach at your Fingertips. The complex has a LARGE POOL and HOT TUB, gated for guest privacy, TENNIS COURTS, OUTDOOR SHOWER AREA and PRIVATE BEACH ACCESS. From the condominium complex you will have direct access to the beach with lots of white sand and warm water for swimming, sunbathing, surfing, wake boarding. We stayed here while visiting the Kennedy Space Center. The condo was in a great location with everything we needed to enjoy the beach and pool. It was easy to gain access and well maintained. Easy access to lots of restaurants. It definitely made us feel like we were on vacation! We would definitely stay again. Our group of six (4 adults, 2 kids) stayed there for a week at Christmas and were thoroughly pleased with all aspects of the experience. Everything was better than expected and we found it to be both the perfect home base for our day trips in the region, and the perfect relaxation spot when that was what the day called for. By the end of the stay, it started to feel like home & I'm already thinking about when I can go back! Highly recommended. Thanks for the review and feedback. Thanks for being great guests. We hope to have you and your family as guests again soon. Great location. Ok view of the ocean, condo has everything you need for a fun stay at the beach. Complex is great with easy parking, a great pool, very well cared for with facilities guys around all day to an questions and care for the area. Very safe feel to place, we had grandkids under 10 with us and it was a pleasure to be there. Thanks for your review and being a great guest. 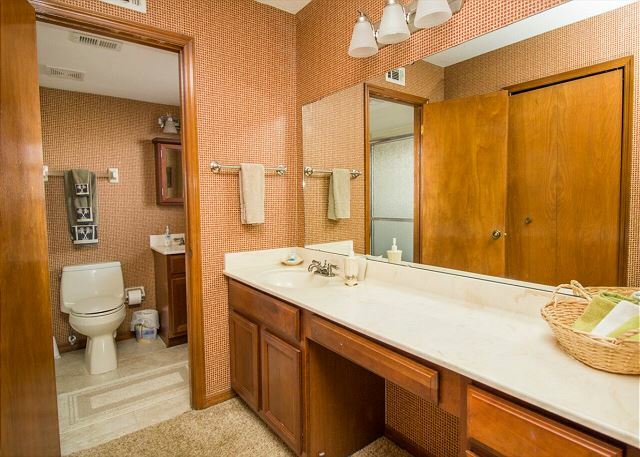 This property is beautifully decorated and maintained. It felt like home, comfortable and right in the beach with a wrap around deck. I would definitely return! Thank you for being a guest. Perfect location and accommodations! We had everything we needed! 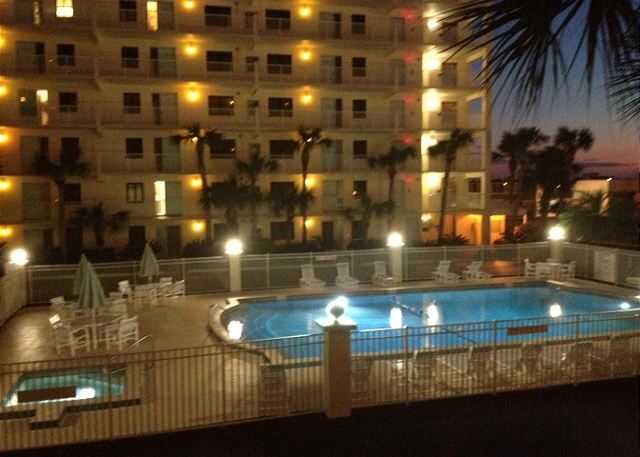 Will rent again if staying in Cocoa Beach again. Let us know when you want to book again and we will give you a returning guest discount. Thank you for being our guest. I was sceptical not knowing the building or the management company. Sometimes the pictures are deceiving on these types of websites. I knew the beach. I have stayed on Seacrest Beach before. The building was immaculate and the people working there were extremely nice and outgoing. The condo was exactly as described and very comfortable. The beds were newer. The couches and chair were too. The beach accessories were in great shape. The management company communicated very well in all facets of the rental and I will use them for future rentals here at Sandcastle or at another property they represent. Glad to hear that you and your family enjoyed your stay with us. If you book again with us we will give you a discount for being a returning guest. We planned a four generation family trip to Cocoa Beach. This condo was more than what we could have ever wished for. The property is better then described. The views are breath taking. We are planning on making this a annual trip and we plan on renting the same condo. Thank you for the positive review and when you book with us again we will give you a discount for being a returning guest. Book early so you make sure that you are able to reserve the condo and your dates. Our trip was fabulous! The condo and facilities were perfect. We have stayed in this unit before and we will come back again! We are so glad that you and your family had another great stay at this awesome condo. We value you as a guest and hope to have you stay with us again next year. 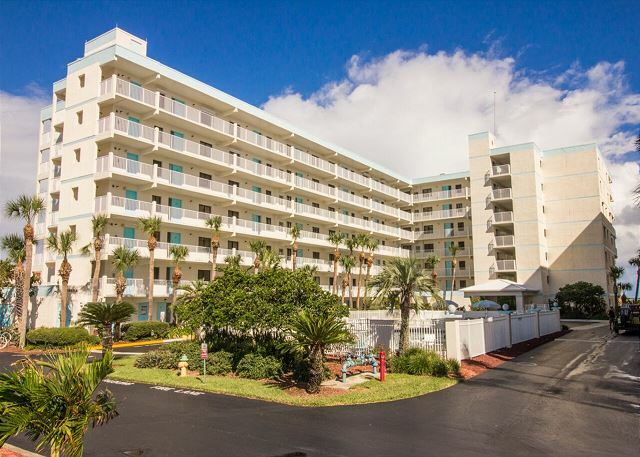 Perfect condo for our Cocoa Beach vacation! This condo was spacious, clean, and comfortable. We loved the ocean view balcony and easy access to the beach. The pool area was well maintained, with perfect water temperature. The location was great, new grocery store just a few blocks away. We ate most meals at the condo, but there were some nice restaurants nearby. Try the Sandbar’s fish tacos, delicious! We had no problems at all during our stay and are looking forward to a trip back soon! We have stayed here twice and love it every time. It is clean, spacious, and very well stocked. Sitting on the balcony is my favorite thing to do, especially in the morning with a cup of coffee. The condo is so well stocked you don't have to bring anything except your bathing suit! I do wish that the pool was open earlier for the kids, but I guess that is ruled by the condo association. We can't wait to come back! the location was great. short walk to the beach. quite beach with no loud groups. Thank you for the review. 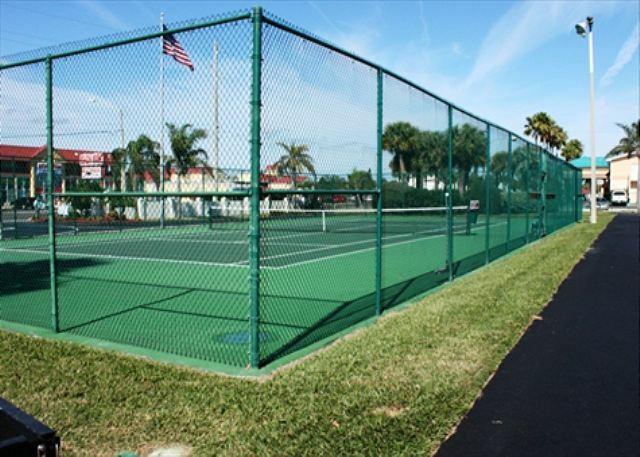 The complex is located on a more quite part of Cocoa Beach but still close to downtown Cocoa Beach. We're glad that you enjoyed your stay and hope that you come stay with us again soon. I have rented this unit twice now and would not hesitate to hook again. The unit is clean and has everything that we needed. They made some upgrades from our first stay to our second, new flooring, some new appliances . The size of this unit is amazing ! I definitely hope to return. This was our sixth winter vacation at this Sandcastles unit. We particularly like the location and surroundings. Sandcastles management keeps the complex well maintained and attractive. The rental management company bends over backwards to be cooperative and provide a very good rental experience. We had a great week in this beautiful condo. The view was awesome and lots of space for 4 adults and 2 little ones. We had an amazing stay with a wonderful view. The rooms are great and it was very clean. Thanks so much for the nice review. We stayed for 4 nights. The rooms were great and there were alot of extras tbat made the stay perfect. We very much enjoyed our stay in this clean and spacious unit. We spent most of our time on the large balcony, enjoying the cruise ships go by and the sound of the waves. We would not hesitate to come back. Since this was our first visit to the area, the one thing that we would have appreciated is a listing of restaurants and grocery stores nearby. Thank you for your feedback. Next time give us a call and we will give you some recommendations without a problem. We also have a list of local restaurants, shops and things to do on our website located under area attractions. Thank you for being our guest and come stay with us again. Our group of 5 ladies who met over 40 years ago at work gets together for milestone birthday celebrations as some of us have moved away so getting together annually just isn't always possible. 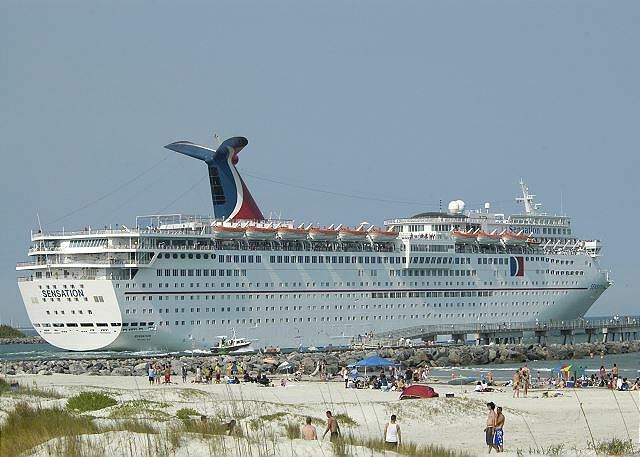 We have been to Myrtle Beach a few times (central to where most of us live), we have stayed at a Lighthouse Keeper's house in Maryland and we have even gone on a cruise with our husbands. 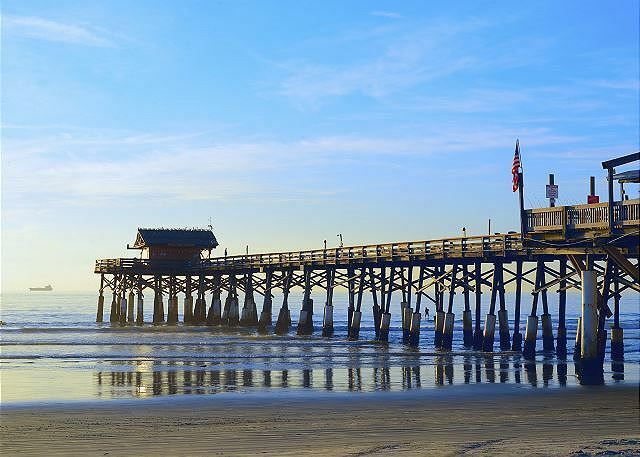 This year we came to Cocoa Beach ... which was great for me as I live here. We rented this lovely and spacious condo just 2 miles south of where I live and had a wonderful time. One of us had not been to Kennedy Space Center since her son went there for Space Camp, three of us had never been there and I love it each and every time I get the chance to go on my own or with visitors. We went to St. Augustine (just 2 hours north) and had a wonderful day. We ate at Roberto's in downtown Cocoa Beach one night which is a favorite of a couple of us. We spent a day on the beach outside of our condo rental and enjoyed the day. We enjoyed the balcony. The accommodations were unite washer and dryer, nicely appointed kitchen with just about anything you need to prepare a meal or just a snack. We didn't turn the TVs on, but there was one in each bedroom and one in the large living room. There was an issue with Wi-Fi but I will chalk that up to Irma! The grounds and building itself were great and well maintained. The staff was pleasant and helpful. I am on the Board at my condo here in Cocoa Beach and I can attest to what it takes and Sandcastles is doing it right!!! 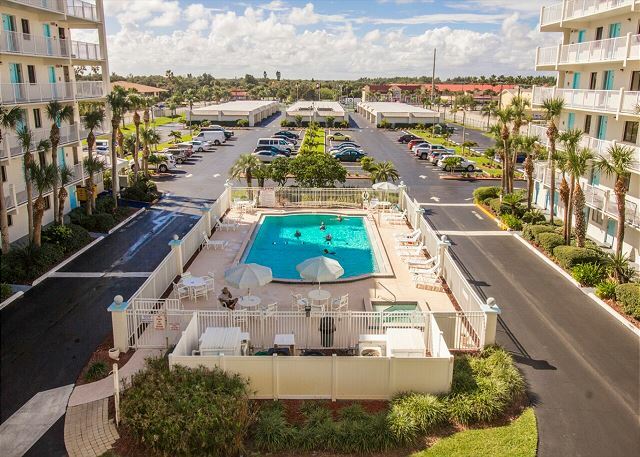 Kudos and lots of recommendations to rent this unit and see all that the Space Coast has to offer! Thank you for all the feedback. We value as our guest and we look forward to having you come again. We had a really good time. The condo was everything we wanted and more. We checked in late but no worries, we already had the codes needed to get in our "home" away from home. The view was fabulous the home was clean and comfortable! Plenty enough room for the kids and grandkids. Kitchen had all the things we needed we just had to get our food. Washed all our clothes and went home with nothing to wash, what a blessing that is! Had a fabulous time on the beach, had toys and beach towels and chairs at the condo. Loved being there and then traveling to Disney. It was nice to come home and chill out. We would go back tomorrow!!! Loved the place!! My Happy Place is at the beach! This is a beautiful condo with an ocean view. It was well equipped with kitchen utensils as well as chairs and beach supplies. I would definitely recommend this condo to anyone! Thank you for staying with us. I agree the view is beautiful. My family enjoyed staying in Sandcastles 205 from April 8-15, 2017. There were 4 adults and two kids. We found the space to fit us nicely. Plenty of room to stretch out and not get in each other's way. The kitchen was modern and equipped with everything that we needed to cook as desired. There was ample living room and outdoor furniture. You simply cannot beat the view! Direct ocean front that we all amply enjoyed. Sunrises over the ocean are terrific. We love the Sandcastles property and this was our third stay at this complex. 205 was our favorite experience yet. In fact, we've already rebooked 205 for another week at the end of the summer. Stay here, you won't be disappointed! We enjoyed the vacation rental there was plenty of space for everyone and everything we needed .perfect view of the beach nice big balcony. And very clean when we arrived we would stay there again just perfect . Thank you for being our guest again. This condo was everything we had hoped for. The condo was super clean when we arrived. Kitchen was fully equipped as stated in the description. Photos were not misleading. In a nutshell the description was accurate. Well maintained, clean furniture, bedding, etc. 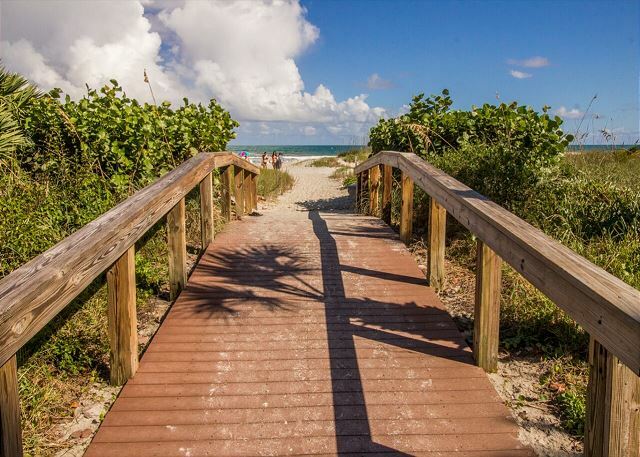 The condo is within walking distance of "downtown" Cocoa Beach, or just a very short drive. The view out of the sliding-glass doors facing the ocean each morning was just breath-taking!! The building itself was very well maintained. The stay was very comfortable for 2 families...plenty of room! We have been going to Sandcastles in Cocoa Beach for 8 years for the month of February. We have spent the last 5 in SC205. Great 3BR with ocean frontage and in great location - Space Cost, close to Orlando and Disney. Absolutely the perfect, beautiful beach condo to stay in! It was truly a home away from home. It had beach chairs, towels, fun toys too! We will definitely stay in SC205 again! CBB is the best rental agency as well! Awesome view from the patio - plenty of patio furniture too! Highly recommend CBB and this unit which held the 6 of us nicely. We have a fabulous time at this place! Very clean and huge. We had 5 adults, one child and a toddler and there was plenty of room. The view was awesome too. The only problem we had was the access codes for the elevator and the condo were not given to us up front so we could not get in for about an our after we arrived. 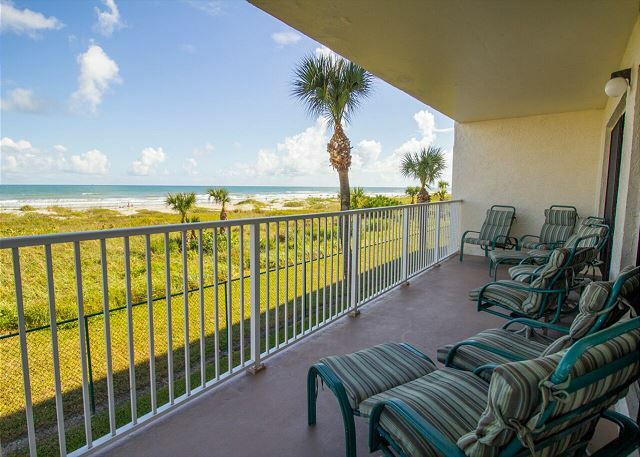 My friends and I had an absolutely beautiful time at Cocoa Beach all thanks to this condo rental! Gorgeous view from the balcony (make sure to go stargazing at night!). Already planning my next stay in the condo. THANKS!! Wonderful location and property. Second floor unit was perfect. Accommodations were very nice. Open floor plan allows everyone to feel close in proximity. Wasn't sure how I would feel about the carpeting but loved it. Lot's of beach chairs, boogie boards and coolers in entry closet. The best part is the deck with seating for 7 or 8. Faces beach and shaded after about 10 am. When we weren't at the ocean, we were on the deck. Only negative is they don't allow anything to be left regarding food. We stay in condos all over the US and this is the first I've stayed with this policy. No salt, pepper, garlic, etc. I understand you don't leave perishables but we had to buy some very general things that should've come with the rental. This in no way diminishes the property itself, just an annoyance. The condo is prettier in person than online. My parents owned a condo at Sandcastle until my fathers passing and my mother decided to sale theirs. It felt like coming home home for me and our family. Everything was well stocked, cleaned and comfortable. I will be coming back to this condo! Beautiful oceanview condo with everything you need! This is a great condo in a great location. It was perfect for our family. There were six of us, two teenage boys and four adults. The layout was perfect. The condo is very well kept and supplied. The furnishings are high quality and in very good condition. We loved the location and really enjoyed the large balcony. The balcony had more than enough room for all of us. We would absolutely recommend this place to friends. Also, the property management company was very professional and helpful. We will certainly consider renting this condo again. WOW - We were in love with this place. It was large and spacious and "Beachy" with all the Amenities we needed to have a great time at the Beach as well as inside watching Basketball and Cooking out! 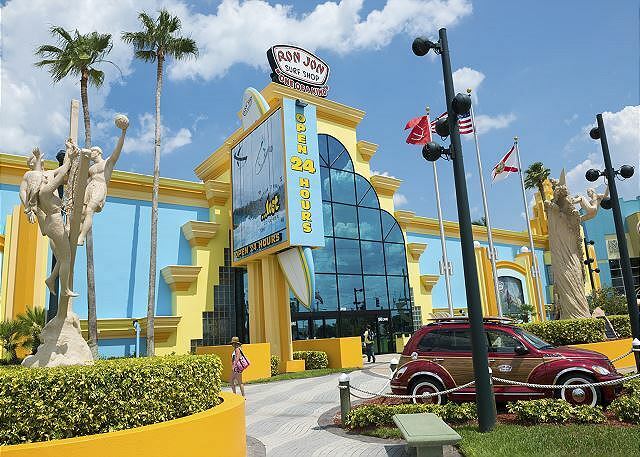 We will definitely be back here and dealing with Cocoa Beach Best was Fantastic! Easy in and out. We WILL be back! My family had a great time at Cocoa Beach and the condo was an excellent place to stay! 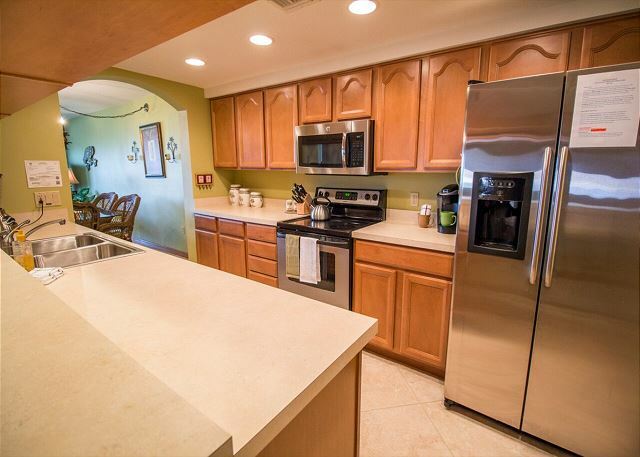 I was very spacious and has all the amenities that is needed for a great family stay! I hope to be coming back soon! We are returning visitors because we like the apt (well-appointed and equipped), Sandcastles (management and facilities),location on the beach, and the many attractions in the area. This condo was excellent! The rental agency was superb! Most Excellent! This was a wonderful way to enjoy the seashore and family in a comfortable surrounding. LOVED staying in this condo! Bigger than we expected, excellent location, and everything you need to enjoy your stay! Clean and comfortable! Would definitely recommend staying here. Condo was in very good shape. It was in a great location close to many restaurants. We had a great time and would recommend to all. This condo is incredible. Comfortably and stylishly furnished and views that are wonderful. All bedrooms are comfortable and every amenity is provided. Kitchen is completely stocked with all utensils,and there are plenty of plates, bowls utensils etc. And the balcony, with the sound if waves is peaceful and relaxing. I would rent again. Great experience. The accommodations were excellent! We all had a wonderful time and will definitely do it again. This is a great property with three bedrooms and space enough for everyone. This is the second year we have stayed here and we love it. The view of the ocean is great and there is a large balcony to watch the beautiful sunrise. Jeff at Cocoa Beach Best was amazing and helped us out when we had a mix-up with the rental dates. We will be back. This truly felt like a home away from home. Everything we could want was there. There were 6 adults and a 7 year old and we had plenty of room to spread out. It was nicely furnished, even better than the pictures captured. The view was picture perfect. I'd like to say I hated it so that this little gem would be available when we rent it next but that wouldn't be fair. I thought the beach would be overcrowded and the surf to rough for my nephew but was pleasantly surprised that it wasn't. The little wicker elephant wanted to come home with us but we refrained from taking him. Well maintained and clean rental. Accommodations were comfortable and felt like home. ok we came from Indiana and omg this place was so amazing and beautiful. I will most definetly be interested again next year. I recommend this place to anyone that stays in cocoa beach. hope to be back next year. I was nervous about renting online at first, you hear about so many scams it is hard to know what to expect. Once i got a call from the property i felt much better, they were quick and speedy about getting all the information to me in a email, and very professional. This place is beautiful! We had a wonderful vacation while staying here. We will definitely stay again!! We stayed at SC2 from April 11th-20th. It was somewhat of a family reunion and i had my kids come in from NB and SSmarie, Ontario. The condo was absolutey impressive, it more than met our expectations. Sitting on the balcony and watching the dolphins swim bye was magical. We were fortunate enough to watch a rocket launch from the beach and the weather was amazing. Would we come back, for sure, now talking about the next time we will return. The condo that we rented was in a great location, the condo was clean & well stocked, there were 2 families in this condo together and we had plenty of space and accommodations. Great vacation get away, I highly recommend this to anyone! The condo was everything it was advertised to be. The Sandcastles complex was well kept, nice, gated, and safe. Beach, pool and hot tub were excellent. Condo was set up well and was clean. Had everything we needed and then some. This was our third year in the unit and our sixth at Sandcastles. Everything was excellent again this year. We would like to return again next year. The condo unit was clean and we'll-maintained...and handy to great restaurants. TVs in two of three bedrooms and living room. Kitchen n amply supplied with dishes, utensils, appliances. Comfortable balcony furniture. Overall Sandcastles property very well-kept. Heated pool is a real heated pool. We'd go back. Cocoa beach three bed rooms condo. Very nice Condo. We had a very good time. The only thing we were unable to operate the T.V local channels but we were able to watch D.V.Ds. we would like to own if we find something like this one in the future. Very thing was wonderful, we love the area and have stayed here at the sand castles condo several times. Every thing was good, clean and the only problem we had was a one of the bathroom showers the water wouldn't adjust from hot to cold but we made a call and it was fixed quickly. The living room furniture isn't very comfortable where it is getting wore out, but it wasn't that bad. Overall good experience. Thank you for review. We have informed the owners about the furniture. They are taking the appropriate measures to ensure the most comfort for our guests! Best Stocked Condo I Have Ever Stayed In! The place was so nice and much better looking than the pictures. The beach was so close and all you need is to bring in just your food. My kids had a lot of fun at the beach and the pool as well as the tennis court. Lots of shopping places are close by. We went to Orlando and Kennedy Space center during the week. I would definitely go back to this condo and recommended to all. Beaucoup d'espace, bien entretenu, vue sur l'océan superbe. La toilette a coulé chez le voisin du dessous, nous n'avons pas pu utiliser la toilette pendant deux jours et il a fallu attendre le plombier mais bon, ca arrive et maintenant, c'est réglé! Le lit double n'est pas très confortable. L'endroit est toit a fait recommandable. La plage est belle. Great condo, great location, great weather, great vacation. This was the best condo we have ever rented. It is even better than the pictures. Everything was in excellent condition and looked brand new. The beds were all very comfortable, especially the king bed. The view was spectacular and the beach just a short walk away. I can't wait to return!! It was an awesome experience for me and my family. I love the ocean view and the fact that the whole complex was very well run. This was the second time we have stayed at SandCastles--excellent facility! I look forward to another stay in the future. What a wonderful vacation ! We had the most wonderful time. The unit was beautiful and accommodated our family perfectly. Also fully stocked with everything we needed. We were excited to find that there were plenty of towels, not only regular towels but beach towels. There were plenty of beach chairs and toys. Very impressed. The beach was beautiful and we used the pool a lot as well. We spent a couple of days at Disney and were pleased at how easy it was to get there from the condo. 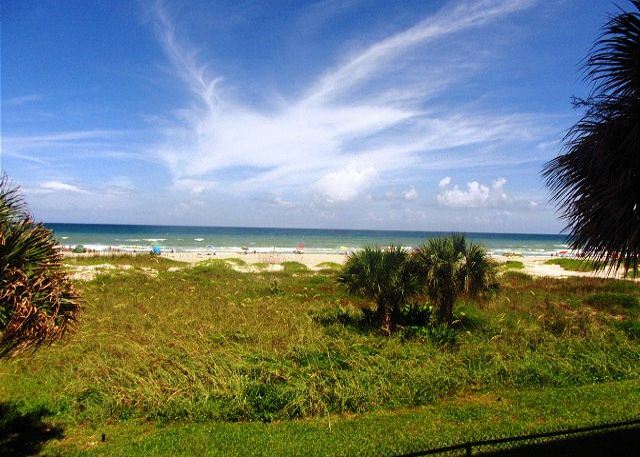 We also found that Cocoa Beach rentals was very helpful and very pleasant to deal with. Thank you for a wonderful vacation and many special memories. This was our fifth year at Sandcastles and our second in this unit. Great location. Best family vacation we have had!! Found Condo to be exactly as advertised. Unit was well furnished and clean. Beach equipment was a nice surprise. Magnificent view! I would recommend this unit for a nice relaxing vacation. Three wonderful nights in Cocao Beach! Family vacations make for wonderful memories. We were able to spend three wonderful nights in Cocao Beach with our daughter, her twin boys and our son and daughter-in-law and their son before we went on a Disney Cruise. It was a great way to unwind and enjoy the beach before our cruise adventure. The condo we rented was very comfortable and good value for the money. We highly recommend it. This was a surprisingly spacious place with a great view. We had a great time. I would certainly recommend this vacation rental! Our rental was absolutely gorgeous! It was very comfortable and quite stunning! It was clean, decorated beautifully, and it had everything we could have needed! The view to the beach was priceless! We will not only recommend it to our friends, we WILL be back! Thank you for the memories! We were very surprised and happy with how big the condo was. 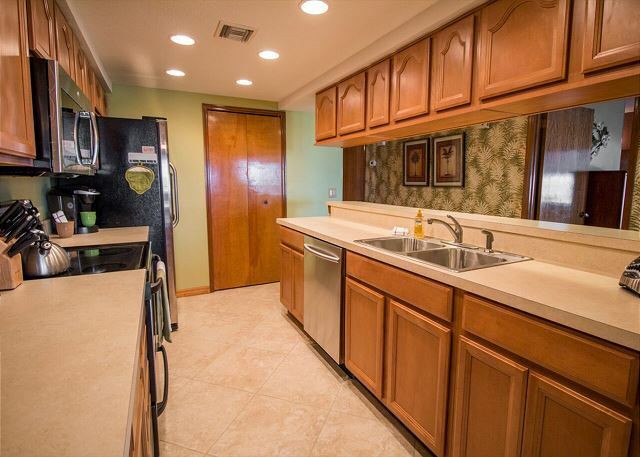 The overall property was very clean and well maintained. The only thing we had a problem with we're small sugar ants ALL in the kitchen. We couldn't leave ANYTHING out on the counter, that's our only complaint. Beautiful view and would love to stay there again!! Thank you for the review Dana! Unfortunately, down here in Florida we are notorious for sugar ants.. If a guest leaves anything perishable on the countertops, the ants migrate right to the food. The SC complex does have a monthly pest control, but that doesn't always resolve the sugar ant issues! Once again, thank you for your review and we look forward to seeing you and the girls again! This was our 3rd time at Sandcastles but our first time in this unit. It is a great property that we plan on returning to. There isn't anything fancy about the property, it is just your own home directly on the beach for a week. We selected this unit because our growing family needs 3 bedrooms. The community pool area is also nicely maintained. About 1/3 of the units at Sandcastles are "direct ocean view" and this is one of them. I would definately recommend this condo to anyone visiting Cocoa Beach. The location is perfect with amazing views. The condo was very comfortable and spacious for all five of us to enjoy our visit. Loved watching the sun rise from the large furnished balcony every morning. The white sand and ocean are just steps away. 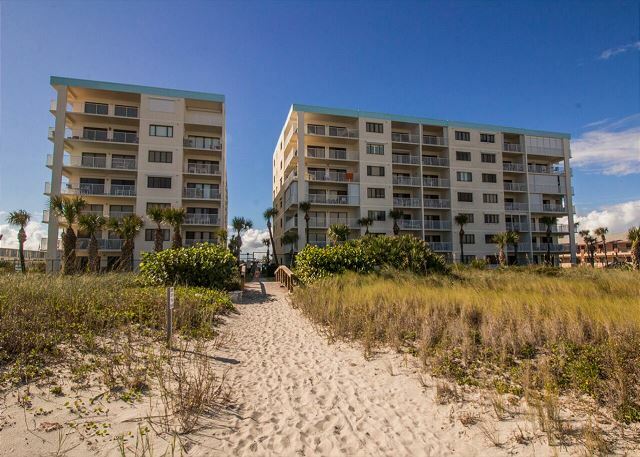 The personnel at Cocoa Beach Best are very helpful and friendly and I would definately pick the exact same condo when I visit again. Thanks again for a wonderful weekend get away. We totally enjoyed our stay. Enjoyed a wonderful family vacation in Cocoa Beach... The condo was everything we imagined it would be. Highly recommend and we will definitely be back. Thank you!! We were very pleased with this condominium! It was very spacious for our group of 8. My boys each used the twin sized air nateress and they cold either sleep in living room or put them in the master bedroom.